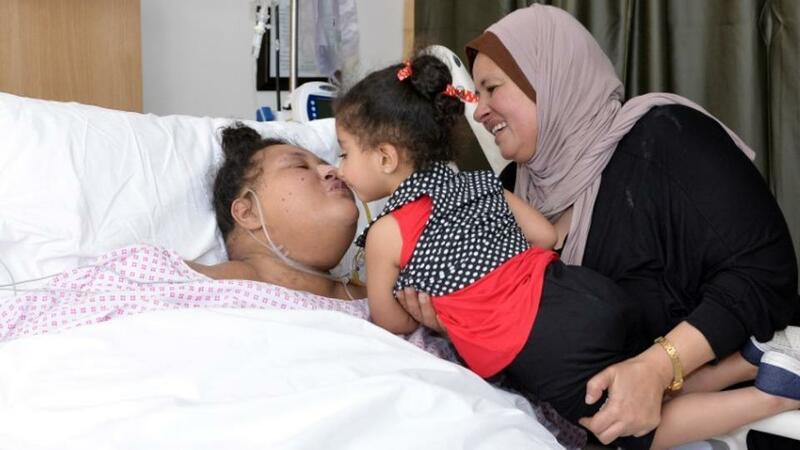 Second batch of 90 Yemenis arrive in India for treatment. 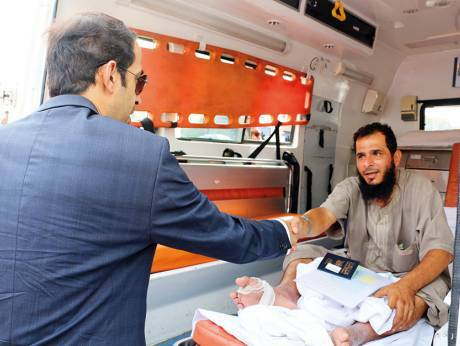 A second batch of Yemeni patients, who were seriously injured in various incidents in their war-torn country, arrived in the Indian capital of New Delhi on Friday morning as part of an Emirates Red Crescent (ERC) humanitarian initiative announced by the UAE leadership. The fresh batch of 90 patients arrived after the successful treatment of the initial batch that had arrived in April in New Delhi, of whom 29 patients have already gone back home in the past few weeks. With most of them having suffered serious injuries â€” some have lost at least one limb and are expecting amputation of the other â€” the patients have pinned their hopes on the UAEâ€™s humanitarian mission for support and recovery. 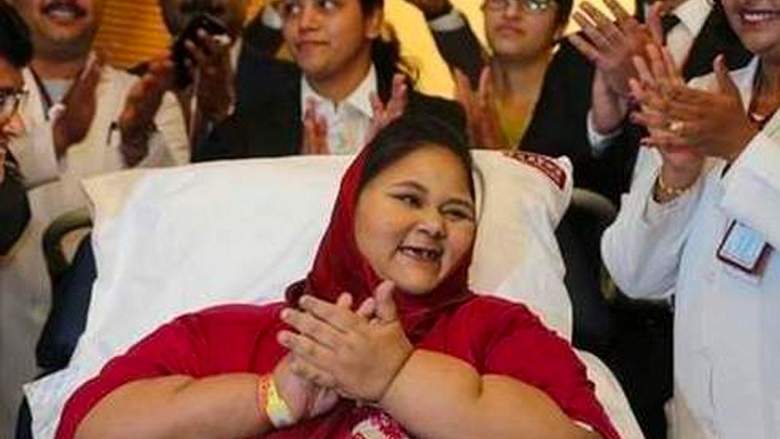 A private plane carrying 90 patients arrived in the Indian capital around 7am on Friday and officials at the UAE Embassy in New Delhi and medical teams received them with full-fledged arrangements for their smooth transportation to hospitals. The move follows the directives of President His Highness Shaikh Khalifa Bin Zayed Al Nahyan; His Highness Shaikh Mohammad Bin Rashid Al Maktoum, Vice-President and Prime Minister of UAE and Ruler of Dubai; His Highness Shaikh Mohammad Bin Zayed Al Nahyan, Crown Prince of Abu Dhabi and Deputy Supreme Commander of the UAE Armed Forces; and Shaikh Hamdan Bin Zayed Al Nahyan, Rulerâ€™s Representative in Al Dhafra Region and chairman of the ERC, to alleviate Yemeni brethrenâ€™s suffering and stand by them as they have faced grave violations at the hands of Al Houthi militias. â€œThe ERC is working to provide treatment for more than 1,500 Yemenis. We, at the Embassy of the UAE, are supervising this humanitarian initiative and coordinating with the ERC and hospitals under VPS Health Care for its success,â€ said Dr Ahmad Abdul Rahman Al Banna, the UAE Ambassador to India. â€œWe have been regularly following up with the patients to ensure their well-being,â€ he added. Dr. Salem Al Danhani, Deputy Chief of the Mission at the UAE Embassy who received the patients on Friday morning, told Gulf News that the patients were smoothly transported to VPS Rockland hospitals with the cooperation of local authorities. â€œWe are grateful to Indian authorities for their assistance,â€ he said. Dr. Vivek Singh, corporate director at VPS Rockland Hospitals, told Gulf News that 39 ambulances transported the patients. â€œThe Delhi and Haryana Police created a green corridor from the airport to the hospitals, which helped their quick transfer. Airport and immigration authorities also expedited their official procedures,â€ he said. He said many patients in the first batch were delighted that the treatment led to their limb being saved which was otherwise expected to be amputated. The medical history of some patients suggested that a seriously injured limb would have to be amputated. The patients also had developed severe infections in their limbs. â€œDespite these challenges, our doctors were able to control their infections and perform multiple surgeries to save their limbs,â€ Dr Singh explained. 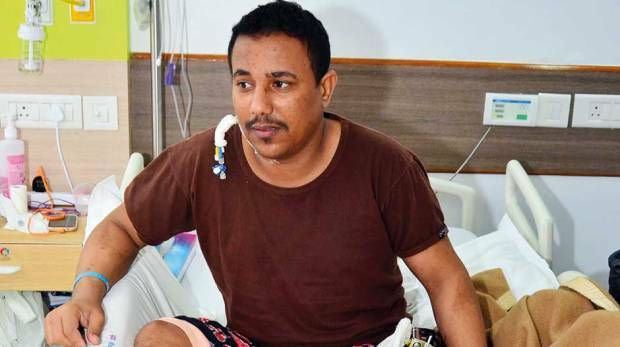 Some of the patients who spoke to Gulf News said they were very relieved when they were told that their limbs were saved from amputation. Dr. Singh said there are similar cases in the second batch of patients and that the doctors believe that they will be able to reach similarly reassuring results. With 29 of the 49 patients having already left for home, the remaining 20 patients who are receiving treatment â€œwill be able to go back home in the coming weeksâ€, Dr Singh said. The ERC announced last week that it will also bear the cost of medical escorts who will travel along with the injured to ensure that their health and psychological conditions are cared for. The move also comes in the context of the continuous support provided by the UAE to Yemenis to alleviate their suffering and stand by them in these difficult times. The humanitarian and health conditions in Yemen have reached deeply worrying conditions due to Al Houthi militiasâ€™ refusal to allow rescue and medical aids to reach different areas in Yemen. The UAE continues to provide rescue and development aid to Yemeni people. The UAE has provided more than $2 million development aid to Yemeni people since the crisis began. Previously, the ERC had sent medical and rescue vehicles to Yemen to treat the injured.